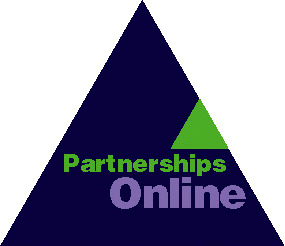 These information sheets expand on other content in the Guide to Development Trusts and Partnerships. The Guide to Effective Participation - also on this site - deals with the wider issues of community involvement. The sheets were written from my experience as a consultant, often in situations where a local council or quango was supporting the start up process. As such they are a mixture of top down and bottom up. Inevitably they make the process look tidier than it is - but I hope they help. Funding from BT and the Department of Trade and Industry supported some of the work, but neither body is responsible for the contents. When a Development Trust is funded by a public body, each side may wish to develop an agreement setting out formally the terms of the grant. In order to secure core funding from funders, the steering group will need to prepare a bid making the case for the Trust, setting out its work programme, and providing some financial forecasts. Development Trusts are incorporated as companies limited by guarantee, and so the governing body is a Board of directors. If the Trust is registered as a charity, the Board members will also be trustees. In either instance they are responsible for the direction of the Trust. The business plan is the key document which sets out the strategy by which the development trust will achieve its objectives - whether they are social, economic or environmental - and also stay in business. One way to clarify the initial vision of a Development Trust is for those involved in the early stages to attempt to produce a case study of the trust as they envisage it in five years time. The headings and notes here provide a framework. Case studies of Development Trusts and discussions with Trust directors have identified key areas of good practice in running Trusts which can be defined in terms of 'competence'. These areas are Governance, Management, Communications, Financial sustainability and Project management. This sheet provides an overall set of checklists. Other sheets deal with each area of competence. Development Trusts need a legal and management structure which balances the two elements of their work: on the one hand carrying out a range of economically, socially or environmentally useful projects, on the other generating income to sustain their operations. In making a bid to funders the steering group will need to draw up a budget and estimate the core costs of running the Development Trust. The start up process for a Development Trust is likely to generate more work than can easily be carried out by a steering group sharing tasks among themselves. One solution is to appoint a development officer on a short term basis. The way that a steering group or Trust run events and formal and informal meetings will be fundamental to its success. Events can either be important milestones in gaining commitment and making decisions, or frustrating and counter-productive. One way to plan the start up process and resolve many of the issues is to carry out - or commissionn - aformal feasibility study. This may well be appropriate when creation of a trust depends on making a bid to one or more funders. This sheet consequently describes a 'top down' process. Some trusts are set up 'top down' with support from local authorities or quangos, others by local people operating on a shoe-string. Trusts are really small enterprises with charitable objectives, so the aim is to end up with an effective independent organisation which can both serve local needs and sustain its own operations. From my own experience, talking to those involved, and from questionnaires completed for this guide, here are some golden rules. The Board of Trust is responsible for its strategic direction and the management of the executive director - the area of policy governance. Early in the start up process for a Trust the initial champion and/or the steering group should agree a set of policy guidelines and principles of good practice. These will cover both the nature of the Trust envisaged, and also the way the setting up process should be conducted in order to achieve that. Trusts should be seen as small non-profit businesses, with the same requirement for effective management. In order to communicate effectively a Development Trust will need a range of materials which explain its purpose, promote its activities and seek to gain support and funding. In order to deliver, a Trust must be competent at managing its various projects. One of the key factors for success in the start up process is being clear on who does what, and why they are doing it. This sheet identifies the main roles, and also summarises the funds and other resources likely to be needed. The role of the steering group is to manage the start up process, assisted by a development officer. They will prepare any bid for funds, and act as a 'shadow' for the final Board of the Trust. Early in the process, whoever is promoting the idea of a Trust or partnership will have to develop a vision which can be communicated to others in order to gain their commitment. Some of the most useful work in setting up a Trust is likely to be done in small creative groups. This sheet gives some guidelines for running workshops. © David Wilcox david@partnerships.org.uk. Tel +44 (0)1273 677377. Fax: +44 (0)1273 677379. These information sheets may be freely distributed with this attribution, but not republished as a whole.